Salem,Massachusetts. Also Known As The Witch City. Salem is a city in the State of Massachusetts. Known as the “Witch City”, there are many different stories circulating regarding haunted legends, haunted folklore, and more in this historically noted “spooky” city. Several individuals have captured ghost pictures, ghost videos, and even ghostly sounds with digital audio recorders and more! When visiting this haunted town, you will come across a number of bizarre shops, strange and atypical museums, and famous “Salem Witches” who will lead you on a fantastic journey through time, and right to the scariest places on Earth! In this informative guide, you will be introduced to some of the most haunted places in the town of Salem, Massachusetts! Danvers State Hospital, a substantial sized building reflecting a gothic design that sits on the top of the ever-popular “Hawthorne Hill” has been called several things throughout history, but one title remains consistent with the structure, and that title is “haunted”. Individuals who are interested in the paranormal are often attracted to this immense structure, its history, as well as the haunting tales that are circulating regarding the spirits that reside in and around the immense structure. One of the first haunting tales that is told about the hospital has to do with a structure that stood on the grounds before the actual hospital was ever built. It is believed that the judge who oversaw the executions of nearly twenty individuals who were claimed to have been witches in the early history of the town by the name of Jonathan Hawthorne lived in a home on the grounds. Many individuals believe that they have seen shadows and apparitions that strike a resemblance to the judge. The House of the Seven Gables is another structure in Salem that has the reputation of being haunted. Many of the local residents refer to this location as the “Turner-Ingersoll Mansion”. This is because these two names reflected the two families that once resided at the structure. The first family, the Turner family, built the home in the year of 1668. Eventually, the Ingersoll family purchased it due to financial losses suffered by the Turner family. One lady, whose name was Susan Ingersoll, was a cousin to the famous author, Nathaniel Hawthorne who wrote the book on the structure. She remained a resident of the structure until the age of 72. Many hauntings have been recorded at the House of the Seven Gables. It is believed that Susan’s spirit remains at the home. In many instances, a female has been seen peering out of the windows, and then disappearing. It is also believed that the spirit of a young male can be heard playing in the area of the attic. Employees and other individuals who have visited this particular home have been rumored to hear strange sounds in the structure, and have even witnessed strange occurrences in the home, such as faucets and lights turning on and off with no explanation…. In Salem, there is a hotel that is believed to be haunted by the residents, as well as those that have stayed in the structure. This is the Hawthorne Hotel. In the early 1900s, the individuals in Salem saw a need to have a hotel built for those traveling through the city, and those visiting the city. In the year of 1925, the project was completed, and named the “Hawthorne Hotel”. 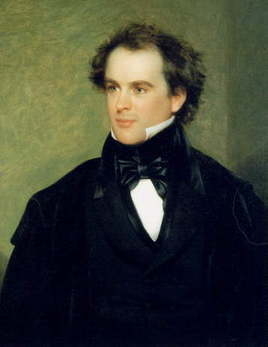 They named the hotel after the famous author named Nathaniel Hawthorne, who had grew up in the area of Salem as a child. There are many ghostly tales surrounding the Hawthorne Hotel. The first directly relates to a lady by the name of Bridget Bishop. This lady had an apple orchard on the same property where the hotel is located. She was the first to be executed in the ever-famous “Salem Witch Trials”. Today, when one visits the hotel, the smell of fresh apples can often be experienced – despite the fact that there are no apple trees or orchards located anywhere near the structure. In addition to this, paranormal researchers have picked up on energy in the structure with EMF detectors and the KII Meter. Strange sounds, mists, and smells have been experienced by numerous people…. Gallows Hill is an area in haunted Salem where the ever-popular “Bridget Bishop” met her fate by hanging in the year of 1692. She was the first individual to be executed as part of the Salem Witch Trials. In addition to this, eighteen other people were also murdered here as part of the Salem Witch Trials. It was later discovered that these individuals were actually innocent of the crimes that they were charged with. While this area now plays host to a large playing field for schools engaging in certain sports, it is also considered to be an area that is highly haunted. Many ghost pictures, ghost videos, digital audio recordings, and EMF readings have been taken in the area of Gallows Hills and have revealed apparent apparitions, mists, orbs, and other types of unexplained phenomenon. If you want to experience a true paranormal hot spot as far as spiritual activity is concerned in the haunted ghost town of Salem, Gallows Hill is definitely a location that you are sure to gain an appreciation for! The Joshua Ward House is another area that is located in the city that is believed to house several different types of spirits. This structure emerged right around the year of 1750. It is believed that the spirit of the Sheriff of the time of the Witch Trials haunts this building. It is also believed that the spirit of the man named Giles Corey also haunts this structure. This is the man that was murdered by stoning. The story of an angry woman in her older years is said to haunt the stairs, and many have felt an extreme uneasiness when entering in the home…. From the year of about 1885 to the year of 1991, the Salem Jail in the ghost town housed a number of criminals. To this day, the prison remained abandoned, and for a very good reason! It is believed to be extremely haunted. It is believed that many of the criminals who were once imprisoned at the Salem Jail remain imprisoned even at the onset of death and their entrance in the spiritual world. You can often hear chains, screams, and crying as you walk in the building…. If you want to learn about the haunted town of Salem, Massachusetts,plan your visit to the city of the famous Witch Trails today! It is a trip well worth taking! 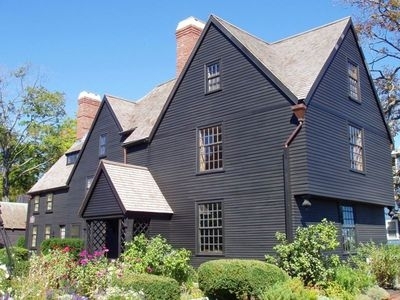 Check for directions, hotels, attractions, view photos, and read the reviews and traveler tips for the City of Salem, Massachusetts! Remember, if you have any stories of your own to tell, we have a page up now where you can submit your own ghost stories!